There is light at the end of the tunnel. 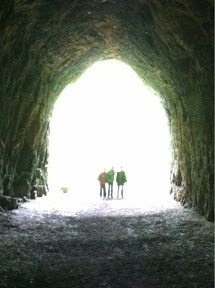 The nation's first electric railway tunnel remains intact at the edge of the Black Hand Gorge State Nature Preserve. It got a visit this solemn day--Memorial Day 2013.